The Ultimate skin Rejuvenation treatment! At Bella Pelle Body Clinic, treatments are often combined to produce optimal results. The eTwoTM treatment combines Sublative Rejuvenation (eMatrix Resurfacing) and Sublime Skin Contouring treatments. Treatment with eTwoTM revives your skin to appear more youthful. Sublime Skin Contouring is a treatment that combines infrared light with radio frequency to firm skin as well as tighten lax skin. With the eTwo treatment, 3 x Sublime and 3 x Sublative treatments are given once a month for 3 months. The two treatments are performed on the same day. Results are optimal one to three months after the final treatment. The combo eTwo treatment is excellent for skin of any colour and has little down time or disruption of daily activities. Discomfort is minimal. eTwoTM is a treatment for those who would like to improve wrinkling and sagging of the skin, reducing of pore size appearance, diminish acne scarring, removal of stretch marks, and other textural skin concerns. The eTwo combines the Sublative Rejuvenation (eMatrix Skin Resurfacing) and Sublime Skin Contouring (formerly known as ReFirme) treatments to reverse ageing. eTwo includes three treatments of both eMatrix and Sublime. 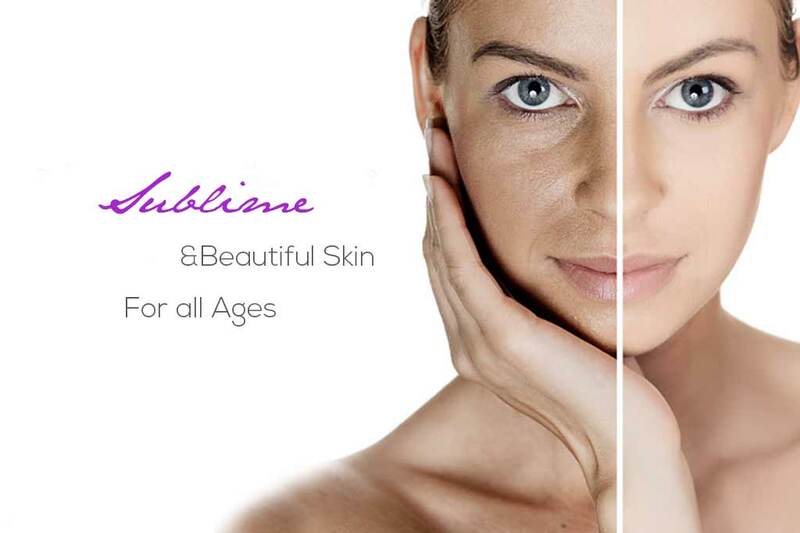 The Sublime treatment uses the combination of light energy and radio frequency energy to deeply heat layers of the skin while protecting the surface of the skin simultaneously. Medium to deep heating of the skin activates fibroblasts (collagen building cells) signalling new collagen to form and existing collagen to tighten, which will occur over a 4-6 month period. The eMatrix treatment uses radio frequency to deliver an effective but controlled fractional treatment. Each pulse delivers the energy via a grid of matrix spots on the surface as well as just under the surface. Fibroblasts are activated within the treated zones & signal collagen to regenerate and remodel, yielding improved skin tone and texture. The surrounding tissue of the untreated areas support and accelerate the healing process of the skin. The benefits include smoother and brighter skin, with smaller appearing pores, less scarring and finer and shallower wrinkles. In addition, lax skin will be tighter. Typically results become noticeable over a period of three to six months but some patients have seen results immediately after treatment. The procedure is mildly uncomfortable. Sublime is usually comfortable, whereas the sublative treatment may require topical anesthetic, which makes it quite tolerable. Expected side effects are redness and swelling after the procedure that lasts from hours to days, and occasionally even up to a week or beyond (very unusual). Small scabs covering about 5% of the treated areas appear, but they are usually easy to cover with makeup, and although present for 5-14 days, are usually not very noticeable after the first day or two. Prior to treatment all potential risks and side effects will be discussed with you by your Skin specialist. You must have a consultation with one of our skin specialists to determine eligibility and cost of this procedure.